Mailing Address: C. Michael Gibson, M.S., M.D., Beth Israel Deaconess Medical Center 330 Brookline Avenue, Overland 540, Boston, MA 02215 Boston MA, 02215. C. Michael Gibson, M.S., M.D. is an interventional cardiologist, cardiovascular researcher and educator who pioneered our understanding of the "open artery hypothesis" as well our understanding of the importance of restoring flow downstream in the capillary bed in the "open microvasculature hypothesis" in heart attack patients. Gibson was chosen as one of the most influential scientific minds between 2002 and 2012 in a 2014 report from Thompson Reuters . Gibson founded www.wikidoc.org, the world's most widely viewed open source textbook of medicine (viewed 700,000 to 2.2 million times daily, hundreds of millions of times annually). He is Editor-In-Chief of over 2,200 active contributors which have edited the content millions of times. Gibson served as medical lead in a partnership with Google, Microsoft and Yahoo to design a scheme of classifying medical content for the internet (www.schema.org) to improve medical search results. Gibson also founded www.clinicaltrialresults.org and has conducted 2,000 TV / video interviews and serves as the anchor person for medical meetings such as TCT TV. For many years, Gibson has been chosen by his peers as one of Boston's Top Doctors in Boston Magazine. U.S. News & World Report also lists Gibson as one of America's top doctors. Gibson invented several of the measures of coronary blood flow that are widely used today (the TIMI frame count and the TIMI myocardial perfusion grade). Formerly Harvard Clinical Research Institute (HCRI), Gibson leads the Baim Institute for Clinical Research as CEO. It is a leading, non-profit academic research organization (ARO) that delivers insight, innovation and leadership in today’s dynamic research environment. Baim collaborates with the world’s most highly respected researchers from renowned institutions to help advance health and quality of life around the world. The entity has managed 450 studies which have enrolled over 160,000 patients, and has played a role in 50 FDA submissions. Gibson has led his own Academic Research Organization (PERFUSE) for over 25 years now, and has been principal investigator of or led core services for 106 clinical trials, the results of which have been published in leading journals such as the New England Journal of Medicine. The PERFUSE Study Group offers a full line of trial management, social media portals, CEC, DSMB and core lab services for phase 1-4 trials worldwide. Under Gibson's direction, the PERFUSE Study Group created the master database that unified data from over 25 years of TIMI studies (TIMI 1-50) in nearly 100,000 patients and coordinated data analyses for the TIMI study group and functioned as the TIMI Data Coordinating Center which he directed. Gibson has led phase 1-4 clinical trials, and cardiology megatrials of over 15,000 patients. Dr. Gibson received his B.S., M.S., and M.D. degrees from the University of Chicago. He was an Intern, Resident and Chief Resident at the Brigham and Women’s Hospital, Harvard Medical School. He received his training as an interventional cardiologist and served as the Director of the Coronary Care Unit at Beth Israel Hospital, Harvard Medical School. Dr. Gibson then served as the Chief of Cardiology and Director of Interventional Cardiology at the West Roxbury Veterans Affairs Medical Center, Harvard Medical School. While at the West Roxbury VA, he also served as an Associate Physician at the Brigham and Women’s Hospital. He then moved on to Allegheny General Hospital as Vice Chairman of Medicine for Clinical Research and Director of Invasive Cardiology. He subsequently relocated to the west coast and served as Associate Chief of Cardiology, Chief of Interventional Cardiology and Director of the Cardiac Catheterization Laboratory at University of California San Francisco (UCSF). In 2000, Gibson returned to Harvard Medical School in Boston. Until 2003, Dr. Gibson served as Chief Academic Officer and Director of Core Services at Harvard Clinical Research Institute (HCRI), until 2005 he served as Associate Chief of Cardiology and Director of Academic Affairs in the Cardiovascular Division at the Beth Israel Deaconess Medical Center. Until 2009 he served as the Director of the TIMI Data Coordinating Center at the Brigham and Women’s Hospital. He is currently a full time interventional cardiologist and Chief of Clinical Research in the Cardiovascular Division at Beth Israel Deaconess Medical Center, Harvard Medical School. Over 25 years ago, Gibson founded the PERFUSE Study Group, an academic research organization which provides academic leadership, site identification and management, statistical analyses, regulatory guidance, angiographic, MRI, CT and EKG core laboratory services, and data management services for a wide variety of studies including trials in acute coronary syndromes, antiplatelets, antithrombins, reperfusion injury, atherosclerosis regression, new devices, angiogenesis, and new imaging modalities. Gibson directed the TIMI angiographic core laboratory and invented the TIMI frame count (CTFC) in which the number of cineframes for dye to reach standardized distal landmarks is counted (an index of epicardial blood flow). Gibson also invented the TIMI myocardial perfusion grade (the blush, a measure of microvascular perfusion). The TIMI frame count and the TIMI myocardial perfusion grade are both multivariate predictors of 2 year mortality in acute MI, and are now widely used both clinically and in the assessment of new reperfusion strategies. The methods invented by Gibson and his research have played a critical role in our understanding of "the open artery hypothesis" and more recently in what Gibson has termed "the open microvasculature hypothesis". On Google scholar, the TIMI Frame Count is listed as being cited in over 4,700 articles (for updated numbers click here) and the TIMI myocardial perfusion grade is listed as being cited in over 1,800 articles (for updated numbers click here). Under Gibson's direction, the PERFUSE Study Group created the master database that unified data from over 25 years of TIMI studies (TIMI 1-50) in nearly 100,000 patients and coordinated data analyses for the TIMI study group and functioned as the TIMI Data Coordinating Center. Within the Thrombolysis In Myocardial Infarction (TIMI) Study Group, Dr. Gibson has served as a Principle Investigator of multiple international trials within the TIMI Study Chairman’s Office. Antiplatelet Trials: Gibson has led trials of glycoprotein 2b3a inhibitor inhibition (PROTECT, TITAN), thienopyridine trials such as the TRITON study of prasugrel, trials of novel antiplatelets such as elinogrel (ERASE MI), and is a member of the executive committee of trials of cangrelor. Gibson led the angiographic core laboratory for trials of eptifibatide (ESPRIT, INTEGRITI, ADVANCE MI, TITAN, EARLY ACS), abciximab (TIMI 14, INFUSE AMI, IC Clearly), and tirofiban (FASTER, TACTICS), clopidogrel (CLARITY TIMI 28), ticagrelor (PLATO) and cangrelor (STEP AMI). Antithrombin Trials: Gibson has led large scale international trials of novel antithrombins such as the development of rivaroxaban, a factor Xa inhibitor (ATLAS TIMI 46 and 51). Gibson has led angiographic core laboratory efforts in the evaluation of rNAPc2 (a fVIIa/TF inhibitor) in the ANTHEM study, and the SEPIA-ACS1 TIMI 42 (Study Program to Evaluate the Prevention of Ischemia with direct Anti-Xa inhibition in Acute Coronary Syndromes 1 - Thrombolysis in Myocardial Infarction 42). Reperfusion Injury Trials: Gibson has led the angiographic core laboratory analysis of reperfusion injury trials such as the LIMIT trial of rhuMAb CD18, the DELTA MI trial (Direct Inhibition of δ Protein Kinase C Enzyme to Limit Total Infarct Size in Acute Myocardial Infarction), the INOT-44 trial (Nitric Oxide in Myocardial Infarction Size (NOMI), and the INTESIVE trial (Apidra®/Lantus® therapy versus Sliding Scale Insulin on infarct size in hyperglycemic subjects with anterior STEMI undergoing percutaneous coronary intervention (PCI). Gibson is currently the Study Chairman and Principal Investigator of the multicenter international EMBRACE MI trial of Bendavia. Lipid Lowering and Atherosclerosis Regression Trials: Gibson’s career started with the Harvard Atherosclerosis Reversibility Project where he developed the angiographic and statistical methodology to conduct angiographic atherosclerosis regression trials. Gibson participated in and has published manuscripts from the PROVE It study (PCI PROVE IT). Gibson has served as the site PI for trials of medical therapy in stable angina (the AVERT study). Gibson serves on the Executive committee of trials of CTEP inhibition (ACCELERATE). Gibson serves as the study chairman of the AEGIS trials evaluating the efficacy and safety of APO A1 infusions (HDL) to halt atherosclerosis and prevent atherothrombotic events. Gibson has participated in the publication of PCSK9 inhibitor trial data. New Device Trials: Gibson has led new device studies such as novel delivery systems for intracoronary therapies such as the Clearway catheter in the INFUSE AMI and IC Clearly trials, and aspiration thrombectomy (INFUSE AMI). He has served as the angiographic core laboratory for trials of perfusion balloons, directional atherectomy, self expanding stents, therapeutic ultrasound studies (PLUS) and markers of saphenous vein graft proximal connectors (PAS-Port (Study of the PAS-Port® Proximal Anastomosis System in Coronary Bypass Surgery (EPIC)). Imaging Trials: Gibson has served as the angiographic core laboratory for trials of new echocardiographic contrast agents (ECHOGEN) vs angiography, and positron emission tomography (PET) vs angiography trials. CMR Core Laboratory Trials: Gibson is co-principal investigator of CMR core laboratory studies such as ALLAY (efficacy and safety of aliskiren in combination with Losartan compared to Losartan), the TRACS Study (The Effects of Fx-1006A on Transthyretin Stabilization and Clinical Outcome Measures in Patients With Non-V30M Transthyretin Amyloidosis), the ACT-34 CMI (Autologous Cellular Therapy Utilizing CD34+ Cells), the INTESIVE trial (Apidra®/Lantus® therapy versus Sliding Scale Insulin on infarct size in hyperglycemic subjects with anterior STEMI undergoing percutaneous coronary intervention (PCI)), and the FX1B-201 Study (Safety and Efficacy Evaluation of Fx-1006A in Patients With V122I or Wild-Type Transthyretin (TTR) Amyloid Cardiomyopathy). CT Angiographic Core Laboratory Trials: Gibson has led the CT core laboratory for trials such as the markers of saphenous vein graft proximal connectors (PAS-Port (Study of the PAS-Port® Proximal Anastomosis System in Coronary Bypass Surgery (EPIC)). Coronary Artery Bypass Graft Trials: Gibson led the angiographic core laboratory analysis of the PREVENT 4 study (Project of Ex-vivo Vein Graft Engineering via Transfection) of 2200 patients. New Electrocardiography Technology Trials: Gibson is the leader of trials of an implantable technology (the AngelMed Guardian Device) designed to monitor and alert the patient to the presence of ST segment elevation (ALERT AMI trial). Gibson has led the angiographic core laboratory for trials such as OCCULT MI study of 84 lead EKG technologies (Optimal Cardiovascular Diagnostic Evaluation Enabling Faster Treatment of Myocardial Infarction). Gibson's team has also served as an EKG core laboratory. Angiogenesis Trials: Gibson assessed angiographic endpoints in early trials of angiogenesis (VIVA trial). NIH Studies: Gibson has led the angiographic core laboratory for a number of NIH studies including the Harvard Atherosclerosis Reversibility Project (HARP), the PEARL study of estrogens in restenosis, and the ASCERT study comparing PCI to CABG. Diabetes: Gibson coordinates the Clinical Event Committee efforts to adjudicate tens of thousands of adverse events and hundreds of thousands of EKGs in ongoing trials of novel anti-diabetic agents. Dr. Gibson has served in the past on the editorial board of numerous journals such as Circulation, the Journal of the American College of Cardiology, Cardiac Catheterization and Intervention and the American Heart Journal. Dr. Gibson is Founder and Chairman of the Board of WikiDoc Foundation (a 509 (a)(1) Charitable Organization). This is the world's largest medical textbook / encyclopedia. WikiDoc contains 200,059 chapters updated millions of times by over 2,200 active contributors and viewed hundreds of thousands of times daily. In 2010, WikiDoc was selected as a Google Grant recipient. Dr. Gibson has personally made over 70,000 edits to WikiDoc. Although there is a vast amount of medical information on the internet, search engine's often return results that are not highly specific. This is because search engines do not account for the structure of the underlying medical knowledge or the relationships among keywords. Gibson was one of the co-creators of a www.schema.org-based schema that allows webmasters and content publishers to mark up health and medical content on the web. The health and medical schema is intended to make it easier for people to locate the optimal web pages by exposing structured information contained in web pages to search engines. As a result, more relevant content rich pages will be returned in search results. Dr. Gibson is Founder and Editor-in-Chief of Clinical Trial Results where he created the first weekly TV show for Cardiologists "This Week in Cardiology" and has provided slides summarizing clinical trials since 1999. Gibson has conducted 2,000 TV / video interviews and serves as the anchor person for medical meetings such as TCT TV. Gibson also created the original TIMI.org, website, the website of the TIMI Study Group. Dr. Gibson also edits a textbook entitled “Gibson's Treatment Strategies in Interventional Cardiology” which is optimized for hand held devices. In the past, Gibson has authored the chapter on Primary Angioplasty in Randomized Trials in Cardiovascular Disease published as a companion to Braunwald's Heart Disease. In the past he has co-authored the chapter “Recognition and Management of Patients with Stable Angina Pectoris" in Braunwald and Goldman’s Primary Cardiology. He has served as lead author of the section on myocardial perfusion imaging in an imaging textbook which is a companion to Braunwald’s Heart Disease. Gibson has authored the chapter “Profiles in Coronary Artery Disease” in the fifth and sixth editions of Grossman and Baim’s Textbook of Interventional Cardiology. Gibson has served as a member of the Professional Education Committee of the American Heart Association. Gibson is a practicing interventional cardiologist. He has served as a cath lab director. In 2009 and 2010, Dr. Gibson was chosen by his peers as one of Boston's Top Doctors in Boston Magazine. In 2010, Dr. Gibson was selected as one of America's Top Doctors by Castle Connolly Medical Ltd. In the same year, he was also selected to be included in the Consumers' Research Council of America’s Guide to America’s Top Cardiologists. In 2011, Dr. Gibson was featured as one of Boston's Super doctors on my.superdoctors.com. In the same year, he was also selected to be included in the Consumers' Research Council of America’s Guide to America’s Top Cardiologists. Dr. Gibson graduated from college Phi Beta Kappa, and from medical school Alpha Omega Alpha, both from the University of Chicago. In 1993 he was selected as the Julian and Eunice Cohen Scholar in Medicine at the Brigham and Women's Hospital. In conjunction with delivering the opening plenary lecture at the 10th annual Great Wall of China Symposium in 2003, Gibson was awarded the Gold Medal by the Institute of Geriatric Cardiology, Chinese Peoples Liberation Army General Hospital, Beijing China for his achievements in cardiovascular science. In 2005, the John Paul II Hospital in Krakow, Poland awarded Gibson the Pro Bono Curantium Gold Medal for Merit, and a research laboratory was named there in his honor. He was the 4th such awardee, the others being Pope John Paul II and Dr. Valentine Fuster. In that same year, Gibson was awarded the Medal of the Jagiellonian University for his outstanding achievements in education and research in cardiovascular science. In 2009, the Cardiovascular Division of Istanbul University, Turkey, established the C. Michael Gibson Research and Education Center. In that same year, the Turkish Cardiac Society honored Gibson for establishing WikiDoc on, September 27th, World Heart Day. In 2007 and 2009, Dr. Gibson was selected by Who's Who as the Clinical Researcher of the Year. In 2009 and 2010, Dr. Gibson was chosen by his peers as one of Boston's Top Doctors in Boston Magazine. In 2012 Gibson was appointed a Distinguished Fellow of New Westminster College, which is the highest honour that New Westminster College bestows upon senior leaders to recognize their distinguished record of ethical leadership. Other Distinguished Fellows include world leaders, cabinet ministers, 12 ambassadors, an astronaut, 27 generals and admirals, surgeons and medical doctors. Dr. Gibson follows the conflict of interest policies set forth by Harvard Medical School and the Beth Israel Deaconess Medical Center. The Baim Institute follows the same conflict of interest policies as Harvard Medical School and Beth Israel Deaconess Medical Center. The dates of payments are based on the date payment was received (on a cash basis) rather than the date of billing (accrual basis). For Trials that Dr. Gibson actively serves as PI of and receives research grant support on an ongoing basis, there is less than $25,000 per year in consulting monies received per the Harvard, BIDMC, Baim policies. @CMichaelGibson is largely a news service citing articles in the news media related to healthcare. A retweet does not constitute an endorsement. RTs which link to other websites are provided as a service to followers, but linking to the sites does not constitute endorsement of those sites by @CMichaelGibson, and @CMichaelGibson is not responsible for the content of external websites. Please note that other users of Twitter may utilize your tweets beyond the control of @CMichaelGibson. Tweets are educational and do not represent medical advice, see your doctor or healthcare provider. Tweets are educational only and are not meant to promote an unapproved or off label use of a medical drug or device. #cmgsays says quotes may have been said by others as well as anonymous individuals. @CMichaelGibson is not a professional health care provider, nor is it a suitable replacement for a licensed healthcare provider. @CMichaelGibson is intended to be an educational tool, not a tool for any form of healthcare delivery. Below is @CMichaelGibson's statement regarding liability, limitations, warranty, validity, guarantee, negligence, responsibility, damages, product liability, errors, omissions, indemnification, legal action, and contract (or lack thereof of any of the above). @CMichaelGibson is not a substitute for a licensed health care professional. @CMichaelGibson is not intended to guide medical decision making, but is instead intended as an educational tool. That is not to say that you will not find valuable and accurate educational information in @CMichaelGibson's posts; some of the time you will. However, @CMichaelGibson cannot guarantee the validity of the information found on Twitter. The content of any given article may recently have been changed, vandalized or altered by someone whose opinion does not correspond with the consensus in the medical field in your country, state, or city. While @CMichaelGibson strives to have the most up to date and accurate data, you agree to consult published medical literature or the package insert for official trial results, dosing information or instructions for use of pharmaceutical products and devices. Off label use of drugs and devices is not encouraged. 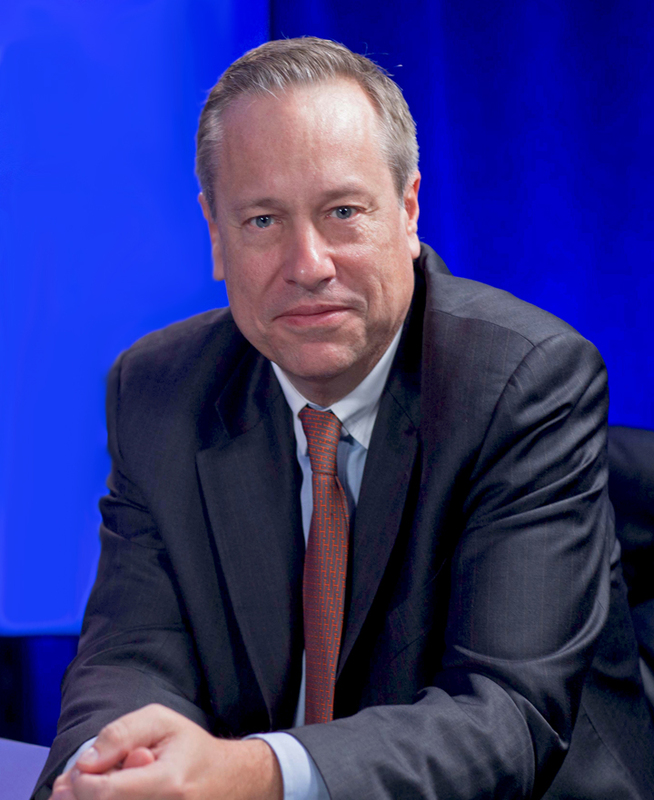 Tweets by @CMichaelGibson and links to articles of a forward looking investigational nature may present data to support the rationale for the use of a variety of pharmacologic agents and devices in both approved and non-approved indications. Actual prescribing information is by intent minimal or completely lacking. These tweets by @CMichaelGibson and links to articles has been prepared for scientific educational purposes, and cannot be considered an inducement to use any drug or device in non-registered indications. @CMichaelGibson does not recommend the use of any drug or device in any manner inconsistent with that described in the full prescribing information. In following @CMichaelGibson, you assume responsibility for the accuracy of the information and its utilization. In following @CMichaelGibson, you agree to hold @CMichaelGibson free of responsibility and/or liability for potential damages or injury to persons or property as a matter of products liability, negligence, copyright infringement or otherwise from any use or operation of any methods, products, instructions or ideas contained in the material herein. The views expressed by @CMichaelGibson are those of @CMichaelGibson and do not necessarily reflect the views of any organization. A tweet does not constitute a guarantee or endorsement of the organization of the quality or the value of the product or the claim made by the author or any manufacturer. @CMichaelGibson may provide, or third parties may provide, links to other World Wide Web sites or resources. @CMichaelGibson does not endorse and is not responsible for any data, software or other content available from such sites or resources and you acknowledge and agree that @CMichaelGibson shall not be liable, directly or indirectly, for any damage or loss relating to your use of or reliance on such data, software or other content. 2.1. You understand and agree that the tweets are provided on an "AS IS" and “AS AVAILABLE” basis, without warranties of any kind, either express or implied, including, but not limited to, warranties of title, or implied warranties of merchantability or fitness for a particular purpose. 2.2. The use of the Tweets is at your own risk. 2.3. Access to the Tweets may be interrupted at any time for any reason to any individual(s) and may not be error free. 2.4. Neither @CMichaelGibson, nor anyone else involved in creating, producing or delivering the tweets or the materials contained therein, shall be liable for any direct, indirect, incidental, special, consequential or punitive damages arising out of your use or inability to use the tweets. You understand and agree that any material or data obtained through use of the tweets is at your own discretion and risk and that you will be solely responsible for any resulting damage to your computer system or loss of data. Neither @CMichaelGibson and his assignees nor collaborators in the tweets shall have any obligation to provide you with any maintenance or support relating the website. In view of the possibility of human error by @CMichaelGibson, he does not warrant that the information contained herein is in every respect accurate or complete, and @CMichaelGibson is not responsible for any errors or omissions or for the results obtained from the use of such. Readers are encouraged to confirm the information contained in the tweets with other sources. Patients and consumers reading articles linked to from the tweets should review the information carefully with their professional healthcare provider. The tweets are not intended to replace medical advice offered by physicians. @CMichaelGibson makes no representations or warranties with respect to any treatment, action, or application of medication or preparation by any person following the information offered or provided within or through the tweets. @CMichaelGibson is not be liable for any direct, indirect, consequential, special, exemplary, or other damages arising there from. @CMichaelGibson is not responsible for errors or omissions or for any consequences from application of the information on the twitter account, and makes no warranty, expressed or implied, with respect to the currency, completeness, or accuracy of the contents of the twitter account or any of the links or images. Application of this information in a particular situation remains the professional responsibility of the practitioner or viewer. Some information on drugs and medical devices presented in the twitter account may be investigational and/or approved for limited use. It is the responsibility of health care providers to ascertain the status of each drug or device planned for use in their clinical practice. If you are a patient, check with your healthcare provider. You agree to hold harmless and indemnify @CMichaelGibson against any liability for any claims and expenses, including reasonable attorney's fees, relating to any violation. You may have a simple link from your website to the twitter account of @CMichaelGibson or its RSS feed. However, you must first ask @CMichaelGibson for his permission if you intend to frame @CMichaelGisbon ' s twitter feed on your site or incorporate pieces of it into a different site or product in a way that is not clear to our users. You acknowledge and agree not to link to or incorporate an RSS feed of @CMichaelGibson if you engage in illegal, obscene, or offensive content, or if the link in any way has a negative impact on the reputation of @CMichaelGibson. We ask that you not post any tweets on @CMichaelGibson with misleading, false, or inappropriate language or statements. We reserve the right to block you as a follower at any time without your consent. This agreement shall be governed by the laws of the state of Massachusetts applicable to agreements wholly made and performed in Massachusetts. In the event that you believe you have been irreparably harmed by any cause of action relating to @CMichaelGibson, you agree to inform @CMichaelGibson in writing and grant @CMichaelGibson thirty (30) days to cure the harm before initiating any action. Any legal action, suit or proceeding arising out of or relating to this agreement or a breach thereof, shall be instituted in a court of competent jurisdiction in Boston MA, and you hereby consent and submit to personal jurisdiction of such court, waive any objection to venue in such court and consent to service of process by overnight courier or express mail at your last known address. Any cause of action initiated by you must be initiated within 6 months after the claim or cause of action has arisen or be barred. Publication of information found on @CMichaelGibson may be in violation of the laws of the country or jurisdiction from where you are viewing this information. Laws in your country or jurisdiction may not protect or allow the same kinds of speech or distribution. @CMichaelGibson does not encourage the violation of any laws; and cannot be responsible for any violations of such laws, should you link to this domain or use, reproduce, or republish the information contained herein. All correspondence should be addressed in writing to C. Michael Gibson, 1 Carter Drive, Natick MA 01760. All information read at @CMichaelGibson is without any implied warranty of fitness for any purpose or use whatsoever. Even articles or links that have been vetted by informal peer review may later have been edited inappropriately, just before you view them. Please make sure that you understand that the information provided here is being provided freely, and that no kind of agreement or contract is created between you and @CMichaelGibson. Any of the trademarks, service marks, collective marks, design rights, personality rights or similar rights that are mentioned, used or cited by @CMichaelGibson are the property of their respective owners. Their use by @CMichaelGibson does not imply that you may use them for any other purpose other than for the same or a similar informational use as contemplated by their owners. If you need specific advice (for example, medical, legal, financial, or risk management) please seek a professional who is licensed or knowledgeable in that area. This page was last edited 13:44, 21 March 2019 by Meghan Ford. Based on work by charlesmichaelgibson@gmail.com, Megan Merlo, C. Michael Gibson, M.S., M.D., Emily Larkin, Kristin Feeney, zigamaphonelz, C. Michael Gibson, Erin Lord and Alexandra and wikidoc users Matt Pijoan, Mdoherty and LBiller.